Simon Pegg is a purveyor of the subversive. He’s made you laugh at a zombie apocalypse in Shaun of the Dead, and in his latest film, Terminal, he gleefully chats about different ways to kill yourself with Suicide Squad actress Margot Robbie. It’s all just another day at the office for Pegg. Before he found himself exchanging suicide tips with Robbie, Pegg made a name for himself as a genre-bending comedy mainstay in the Three Flavours Cornetto trilogy. The three films — Shaun of the Dead, Hot Fuzz, and The World’s End — were all directed by Edgar Wright, written by Wright and Pegg, produced by Nira Park, and featured Pegg and Nick Frost in starring roles. More of a thematic trilogy than sequential chapters, the films share an absurdist take on dark subject matter along with their creative teams. Even though his penchant for dark humor made him famous, Pegg is much more than horror jokes. 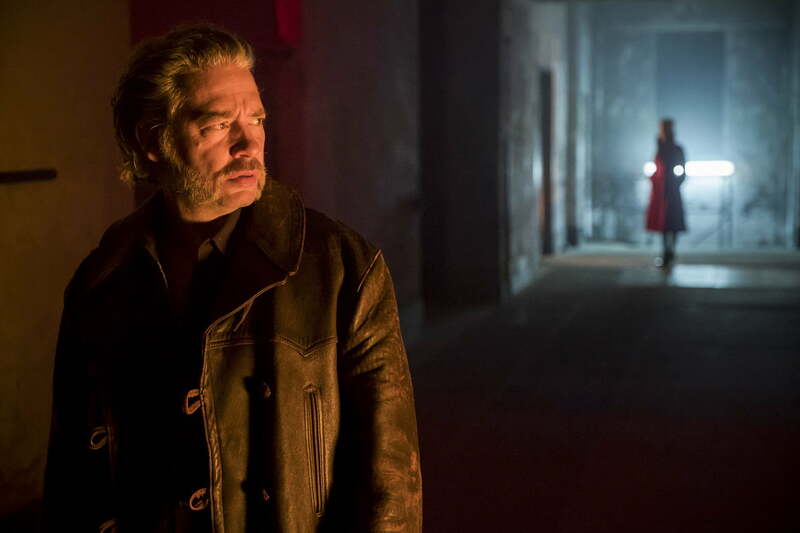 He has a recurring role in four of the Mission: Impossible films, including this year’s Mission Impossible: Fallout, and is one of the few actors to appear in both Star Trek and Star Wars franchises. 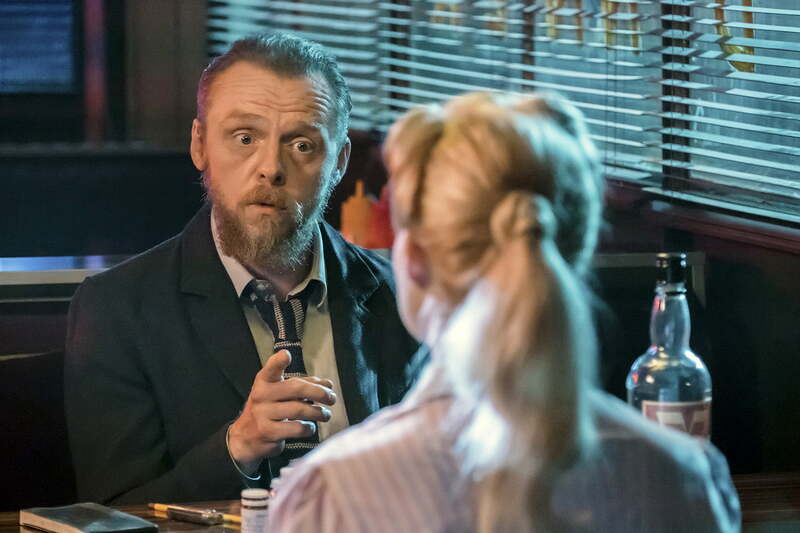 Digital Trends spoke to Pegg about Terminal, and also got his thoughts on a potential Hot Fuzz TV series, Quentin Tarantino’s upcoming Star Trek film, and when we can expect a new movie from the Cornetto crew. Digital Trends: The core appeal of your new film, Terminal, is this quirky but comfortable relationship between your character, Bill, and Margot Robbie’s character, Annie. You have a long scene in which you cheerfully break down the pros and cons of different ways to commit suicide. How do you establish the sort of rapport to make that scene feel so comfortable and organic? 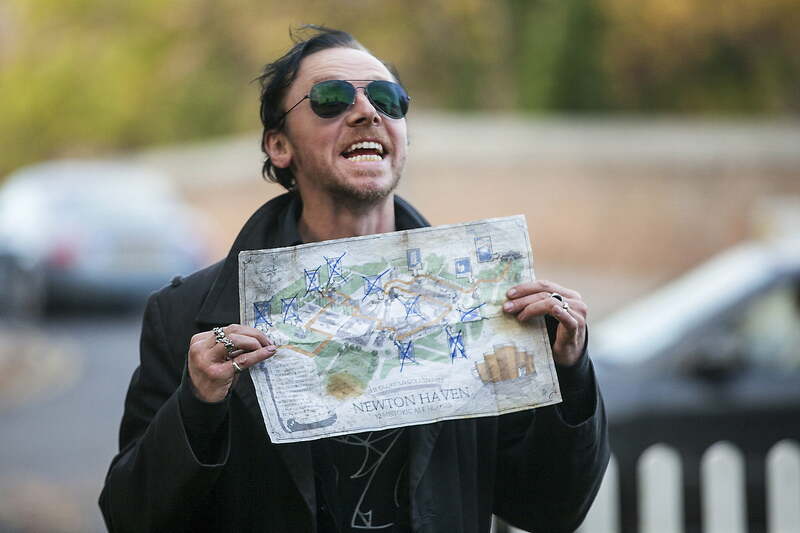 Simon Pegg: We had a lot of rehearsal, which is good. You don’t always get rehearsal when you make a movie. Sometimes you get to set, block the scene, go through it a few times, and then you shoot it. With this, we had a couple of weeks of sitting down and we just fell into it, a little bit. We got to know each other and found a rhythm, so by the time we got to the set, we were able to hit the ground running. Margot’s brilliant. She’s really smart, and she has stuff that she brings to it, as well. You’ve always been able to find humor in dark topics like a zombie apocalypse, or with your character in Terminal being terminally ill. What do you do as an actor to find the humor in dark things? That’s life, really. I think we all use humor as a coping device in the darkest of situations. Yes, there are certain times when there’s no humor, and it’s way too bleak to even contemplate being funny about it. But a lot of times, it’s the device we use to make it easier on our situation. With a character like Bill, he is so resigned to his fate that he’s just sort of being flippant about it all the time. In a way, Margot’s character, Annie, she’s trying to get him to be less mopey and more positive about it and convince him to take a stand. You don’t realize why she’s doing that until later on. It’s pretty fun to play those scenes when they’re just talking about the relative merits of jamming a pencil in your eye. That stuff was really, really fun. If you watch the film a second time, you realize who Bill really is, and what she’s actually doing. It’s a different watch. It’s a film engineered to be watched a couple of times. 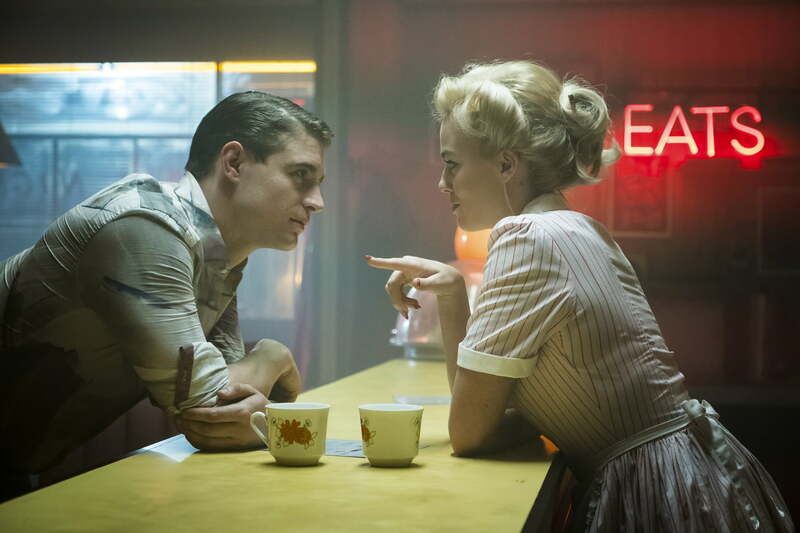 Terminal has a fast pace and noir feel that are reminiscent of a Quentin Tarantino film. It’s been reported he told you about a Star Trek idea he had years ago. What elements of the Star Trek lore do you think Tarantino could inject with his own, unique style while keeping the history sacred in his upcoming Star Trek film? Will you be in it? I know as much as you do about what’s ahead. They don’t tell us so we don’t spill it. I know Quentin is a huge Star Trek fan, and I think that any kind of fears that fans might have that it will just be like Pulp Fiction, it’s really not [going to be like that]. He’s very passionate about film and he’s very passionate about Star Trek. So whatever that idea is that he has, I can’t wait to find out. I think it’s going to be fascinating. I think he will bring something very special to the whole story. I got into your work almost 15 years ago with Shaun of the Dead and followed along for the Cornetto Trilogy. You’ve said in the past that the Cornetto Trilogy of films wasn’t planned when you first did Shaun of the Dead, because the film was so low budget you didn’t think past making that one film. You’ve since created your production company, Stolen Pictures, with Nick Frost. Are there any plans for thematic tie-ins between movies or more Cornetto films? There’s no doubt in my mind that Edgar [Wright], Nick [Frost], and myself will work together again. We’re talking about it and we always talk about it. The only reason that we haven’t done it already is because of various other commitments that we all have. It’s just a question of finding a moment among all of that where, certainly for me and Edgar, we can sit down and write together. 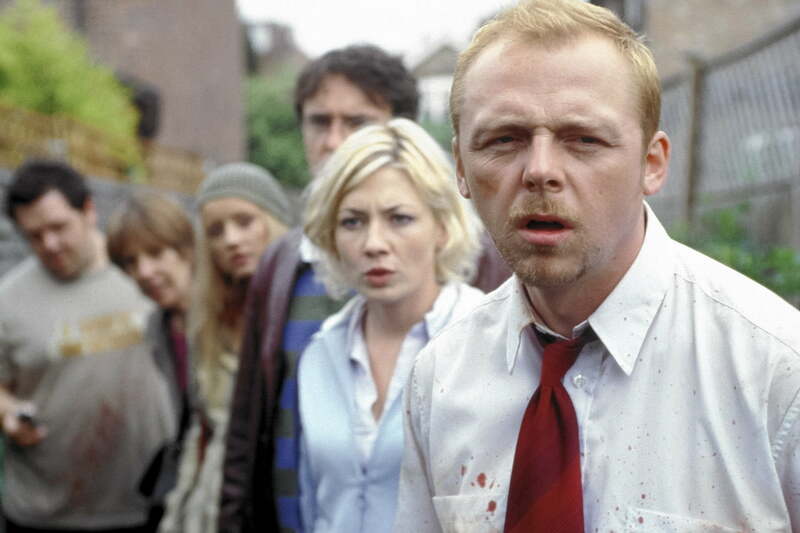 Simon Pegg in Shaun of the Dead (left), Hot Fuzz (center) and The World's End. We talk every day and we’re friends before we’re workmates. We go back a long, long way. Our relationship is familial. It’s not like we get together [and then] we have to make a film. We’re always together. Edgar has something he’s working on now. I have a few commitments. Probably next year or the year after, we’ll be able to get into a room and get the ideas down on paper. We’ve already started discussing it. We published an article recently listing ten films that would make great TV shows. The list included John Wick, Her, Foxy Brown, and your 2007 film, Hot Fuzz. If a Hot Fuzz TV series happened, what form would it take? Is there any other movie you would turn into a TV series? That’s a good question. I think it depends on whether they would stay in the countryside, or whether they go into the city. You have to have kind of a reversal. So, instead of it being Nicholas Angel in the countryside, it would be Danny Butterman with Nicholas Angel in the city. That would be fun. The cop show is as much a classic, legendary genre as cop movies. … With Hot Fuzz, we had all those big, American-style action tropes play out in a little green, English village. [A TV series with Danny and Nicholas in the city] would be fun to do. You could also have The World’s End, post-apocalypse, with Gary King and his little gang trying to survive in the apocalypse. Hot Fuzz was the one film, out of all those films, that Edgar and I always thought, “We should do another one.” To be honest, though, the whole idea of the film was them becoming Hot Fuzz, so by the end of it, when they’re badasses, it’s almost played out. With Shaun [of the Dead], it was like that story ended. People always ask, “why don’t you do a sequel?” Well, because that story’s finished. What’s the point of carrying on? 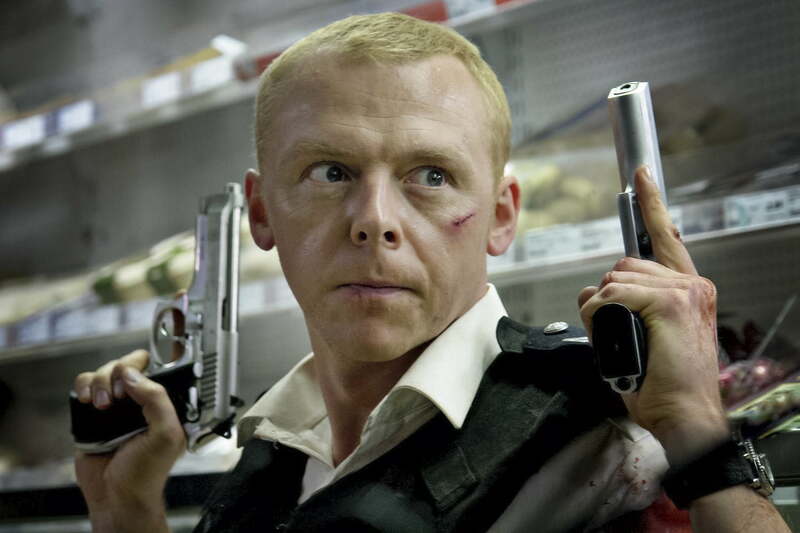 Simon Pegg chasing a thief in Hot Fuzz. The upcoming movie Slaughterhouse Rulez is going to be the first film from your new production company. What can you tell us about that film? It’s going to be really fun. It’s a sort of a horror comedy. It felt like the right thing for Nick and I to have as our first collaboration with Stolen Picture. It’s about a private school in the U.K. which sells off parts of its land to a fracking company, and the fracking company then unleashes a subterranean monster that terrorizes the school. It’s a big metaphor for the U.K. privatizing things, and it’s mixed up with some ridiculous, sloppy horror. So it’s right up our street. You’ve been in a few Mission: Impossible films. One of the thing that has always boggled my mind is how in the world are they letting Tom Cruise do these stunts. Have you ever watched him do one of those stunts? What is it like to work with him on these films when this is going on? Yeah, I’ve seen them all, and it’s a bizarre experience for us because we don’t know if he’s going to survive. You only know that he made it through alive because you saw him do an interview on TV before the film came out. I watched him do the Burj Khalifa stunt [in Mission: Impossible – Ghost Protocol]. I was on the plane when he was hanging onto [the side of the skyscraper]. I was sitting on the ground watching him do it as well. I saw him falling out of a helicopter on this one, and the fact is — and Tom knows this — doing his own stunts makes people excited. It is exciting to know that it’s not CG effects. It’s not a stunt person. It’s actually Tom Cruise hanging off a helicopter at 1,200 feet. It gives the film a real sense of authenticity, and the film company knows that, too. So they’re kind of okay with it because they know it’s going to make them millions of dollars. [Laughs] It boggles my mind. I don’t know how the insurance works. It’s mind-blowing … absolutely mind-blowing. So, no do-it-yourself stunts in your future? [Laughs] I’m okay on the ground with my computer. 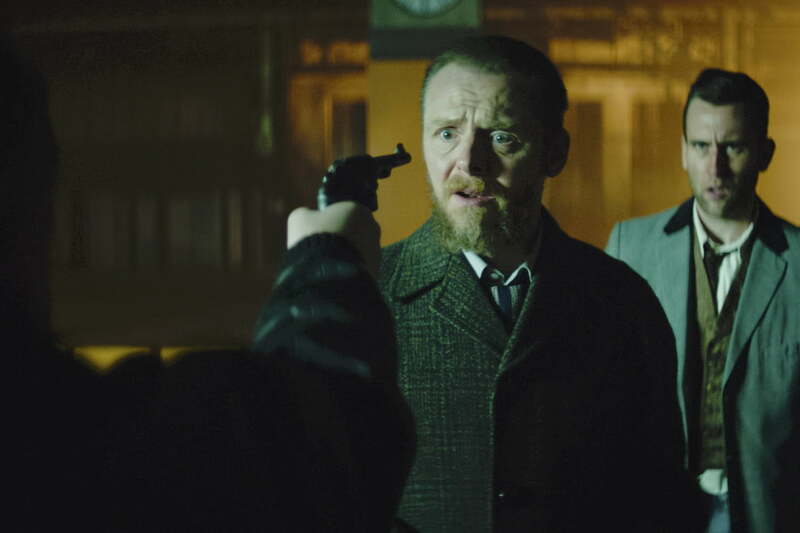 Simon Pegg’s latest film, Terminal, is in theaters now. He can be seen in ‘Mission: Impossible – Fallout’ when it hits theaters July 27. IBM banned USB drives. Is it the future of security or a knee-jerk reaction?